Helping support the community we live and work in is extremely important to Grab N’ Grow and all Soiland Company locations. Below are some of the local organizations we have partnered with to help make a positive impact on our community and customers. Grab N’ Grow and Soiland Company are proud to announce that we have joined the GO LOCAL organization of Sonoma County. If you’re not aware, GO LOCAL is a cooperative network of locally-owned businesses, residents, non-profit organizations, and government agencies working together to build a resilient, thriving, local economy by supporting independently owned businesses in Sonoma County. Sonoma County Farm Bureau is an independent, voluntary not for profit organization of farm and ranch families united for the purpose of analyzing their problems and formulating action to achieve educational improvement, economic opportunity, and social advancement and, thereby, to promote the national well-being. Our local chapter is committed to representing our many farmers and ranchers in Sonoma County. All Farm Bureau members receive 10% savings when they shop at Grab N’ Grow and Soiland Company’s two other locations: Stony Point Rock Quarry in Cotati, and Soils Plus in Sonoma. Must show your membership card to receive discount. Grab N’ Grow and Soiland Company are proud long-standing members of The California Landscape Contractors Association. The North Coast Chapter of CLCA includes members from Marin County to the Oregon Border. 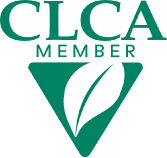 CLCA serves and protects the interest of its members, promotes professionalism and advocates public awareness of the landscape industry. Landscape Contractor pricing is available, please let us know if you have a valid contractors license. In 2015 Grab N’ Grow partnered with Ceres Community Project to help supply their student-run garden with soil, compost, and mulch. Ceres Community Project energizes communities by linking what we eat and how we care for each other with the health of people and planet. Ceres support primarily low-income people struggling because of a serious health challenge with free and home-delivered nourishing organic and locally produced meals, nutrition education and the caring support of the community. All the meals Ceres provides are prepared by teens between the ages of 14 and 19 who volunteer in their ¾ acre food production garden and three commercial kitchen sites in Marin and Sonoma Counties. To learn more about Ceres and how you can join us in supporting this vital community organization, please click here.